Intended for ages from infancy to 7 years, the book introduces readers to 26 key traits that support their understanding of justice and their ability to act to ensure fair treatment for themselves and for others across categories of race, gender, abilities and religion. The book’s illustrator is Keturah A. Bobo, a graduate of the Columbus College of Art and Design known for her vibrant illustrations. Her first picture book, I Am Enough by Grace Byers, was a New York Times bestseller. The education department seeks to contribute to the museum’s role as a place of transformation. During early childhood development, a child’s self-image progresses alongside the creation of a personal values system. Throughout this process, parents and caretakers may not be conscious of passing along their own preconceived notions of race, identity and ability. 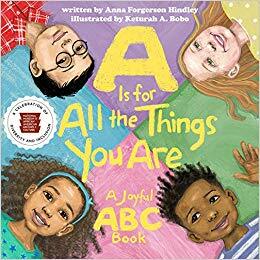 Grounded in the tenets of anti-bias education, A Is for All the Things You Are reinforces scientific conclusions that treating children as strong, intelligent and kind individuals ensures similar outward behavior toward their peers and loved ones. The education department is currently planning other books in alignment with its mission.